This month it is Amy Gibson’s turn to make a block. Amy has named her design, ‘Mothers Day’. 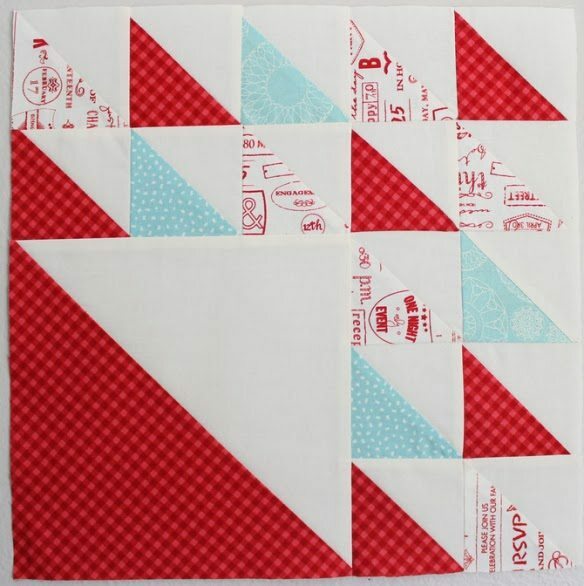 The block is a 12″ finished block made entirely from Half Square Triangles (HST). Amy’s instructions for completing this block can be found here. 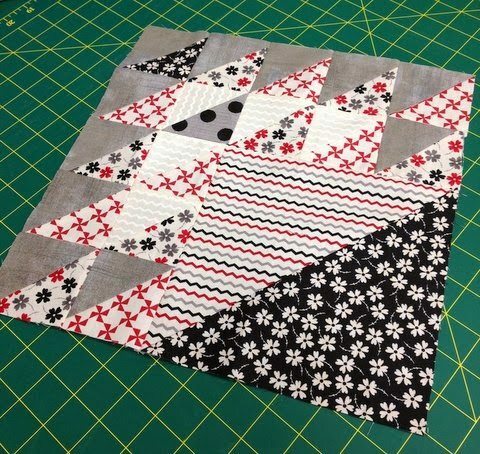 Don’t forget to upload your finished blocks to the Flickr group and visit Natalia at PieceNQuilt for tips on quilting. I am making my blocks in Sweetwater’s Mama Said Sew and Basic Grey Grunge both from Moda. i love that one dot fabric in there! I really love these blocks. Gotta love the HST!